I am sad to report the passing of the legendary and beloved Dr. Luis Garden Acosta who I had the honor and privilege of meeting a few years ago. Dr. Edwin Meléndez, Professor of Urban Affairs and Planning and the Director of the Center for Puerto Rican Studies at at Hunter College, writes this obituary on the legacy of Dr. Acosta. Also see this New York Times piece on him that came out today titled, "Luis Garden Acosta, Resuscitator of a Brooklyn Neighborhood, Dies at 73." Prayers for his beautiful wife, Frances Lucerna, a powerful leader herself in New York City. Their social justice work has been life-saving to so many in their Brooklyn community. Que en paz descanse. May he rest in peace. On Tuesday evening, Luis Garden Acosta, beloved founder and president of El Puente in Williamsburg, died at the age of 73. He leaves behind an enduring legacy of activism and community organizing that stretches from the southside of Williamsburg, Brooklyn to Puerto Rico. The Center for Puerto Rican Studies extends its condolences to the family of Mr. Garden Acosta and the El Puente family. Luis Garden Acosta was born in 1945 in Fort Greene, Brooklyn, to a Dominican father and a Puerto Rican mother who had fled the island after her fiancé was killed during the Ponce Massacre of 1937. Mr. Garden Acosta would split his upbringing between the neighborhoods of Brooklyn Heights, Williamsburg, and Fort Greene. An early interest in community, as well as a strong influence from the Catholic Church, were fostered by the mentorship of a local pastor from St. Barbara’s Church. At the age of 15, Mr. Garden Acosta enrolled in St. Mary’s Seminary in Pennsylvania. After earning a college degree, he prepared to become a priest but ultimately did not take his final vows. Mr. Garden Acosta credited watching Martin Luther King Jr.’s 1963 “I Have A Dream” speech with influencing his decision. Instead, he returned to Brooklyn, where he joined a Catholic anti-war movement, in addition to becoming involved with the Young Lords as a member. In 1970, Mr. Garden Acosta began to study medicine, spending three years at Harvard. A move to Amherst, Massachusetts in 1973 to work as a substance abuse counselor coincided with the launch of a five-minute radio program on Latin American news, which quickly became a three-hour show called Dr. Salsa’s Medicine Show. The show’s success eventually brought Mr. Garden Acosta back to New York City in 1980. However, his work at Greenpoint Hospital, which included a firsthand look at the youth violence in southside Williamsburg, convinced him to skip the syndication of his radio show in favor of helping his community. Mr. Garden Acosta recalled the death of a young hospital patient brought to the emergency room as a particularly impactful catalyst that would lead to the founding of El Puente. The organization would also serve as a institutional bridge between the progressive and religious circles to which Luis belonged, hence the name. 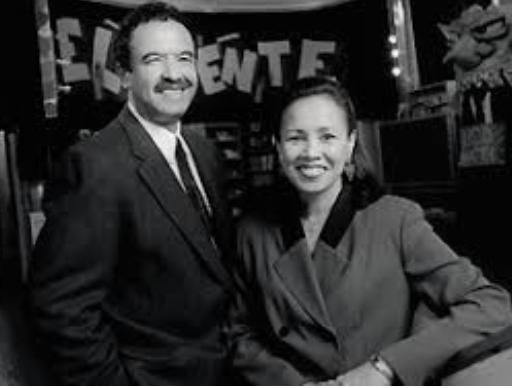 El Puente was founded in 1982 by Luis Garden Acosta, his wife, Frances Lucerna, and Gino Maldonado. Today, it is described as “a community human rights institution that promotes leadership for peace and justice through the engagement of members (youth and adult) in the arts, education, scientific research, wellness and environmental action.” An alternative high school, El Puente Academy for Peace and Justice, was founded by Mr. Garden Acosta and his wife, Frances Lucerna, and Hector Calderón in 1993. According to Centro Librarian Anibal Arocho, Mr. Garden Acosta played an integral role in helping the Centro Library access the original issues of Palante, the official newspaper of The Young Lords, and convert them to microfilm. 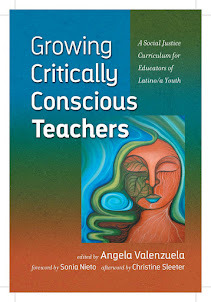 “This is a resource that has served numerous researchers over the years and is among one of the most requested resources available about the Young Lords,” said Arocho. More details on his life and contributions could be found in an extensive oral history interview as part of Centro’s 100 Puerto Ricans Oral History Project. Luis Garden Acosta will be viewed on Friday, January 11th, from 2-5pm and 7-9pm, at the Hess-Miller Funeral Home located on 64-19 Metropolitan Ave., Middle Village, NY. A mass will be held the next day at 9:30am at the Transfiguration Roman Catholic Church located at 263 Marcy Avenue, Williamsburg, Brooklyn; followed by the burial at Linden Hill United Methodist Cemetery in Ridgewood, Queens.